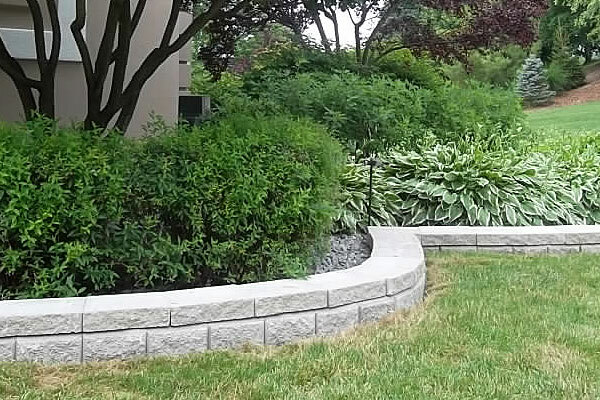 Landscape concrete garden edges, concrete lawn edges, concrete mowing strip, concrete kurbing ( concrete curbing ) and decorative garden edges all refer to the same ideas. 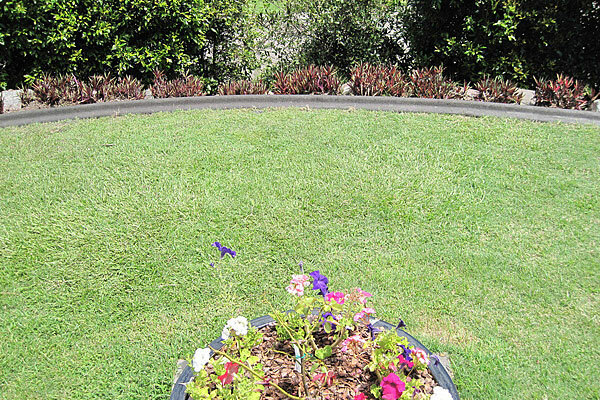 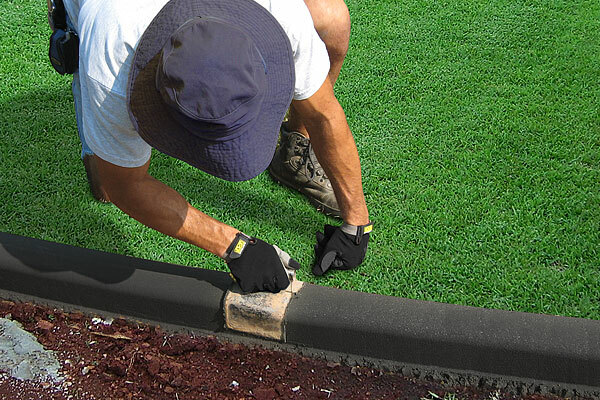 A simple concrete barrier to clearly define areas between gardens, lawns and driveways. 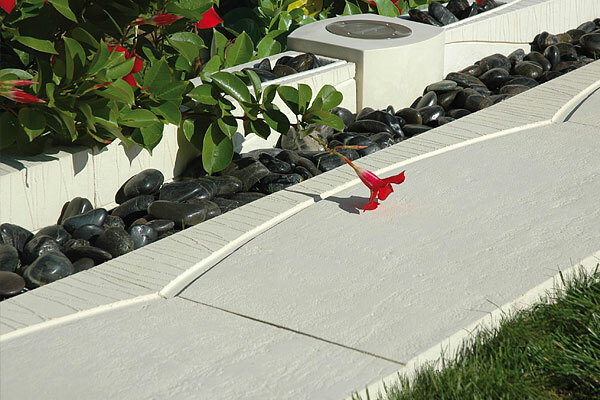 Concrete garden edges come in a variety of standard shapes and profiles and with a large range of concrete decorative finishes – there is definitely a combination of concrete garden edges and concrete finishes to suit any number of landscape designs. 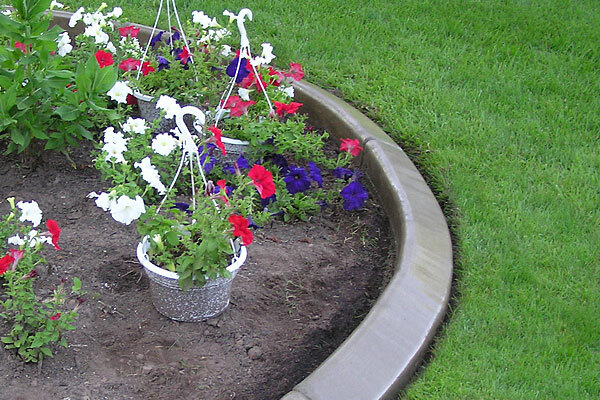 With concrete garden edges, you can significantly improve the appeal of your garden, make it easy for garden and lawn maintenance and ultimately increase the valuation of your property. 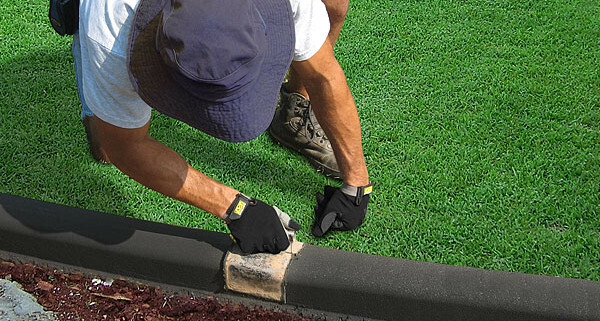 Thundercrete have over 15 years experience working with concrete garden edges in Brisbane, Gold Coast and Sunshine Coast. 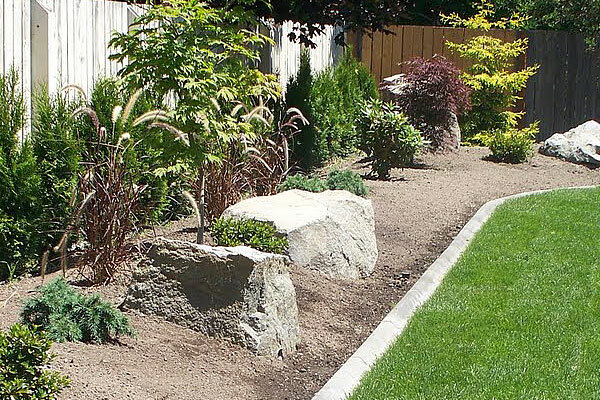 We provide a professional landscaping service from simple garden improvements to full garden and entertaining area make-overs including; excavation, landscaping, concrete patio slabs, concrete garden shed slabs, retaining walls, concrete garden edges and drainage.